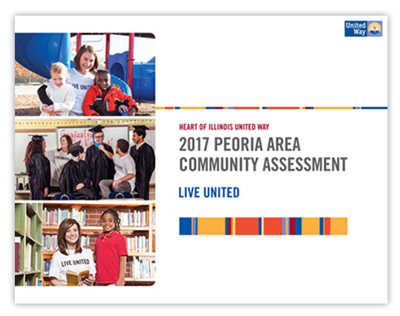 The Heart of Illinois United Way’s Peoria Area Community Assessment highlights critical needs in the six-county Peoria region focused on the areas of education, financial stability and health. In 2017, our organization collaborated with Dr. Laurence Weinzimmer at Bradley University to conduct the assessment. Published every three years, the assessment’s data provides critical information that enables United Way to effectively identify, assess and support key areas of social concern, as well as strengthen our ability to provide leadership to the region. Our thanks to Central Illinois Business Publishers for producing our 2017 Peoria Area Community Assessment. If referencing the published assessment and the full study, please note the year of the data reported in both documents as some data were updated in the publishing process. 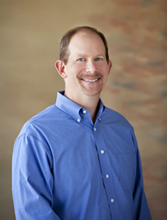 Dr. Weinzimmer, Caterpillar Inc. Professor of Management at Bradley University, is a sought-after business advisor to numerous Fortune 100 companies and author of four books including two best sellers. His most recent book was ranked #1 on the Barnes & Noble Best Sellers List, #3 on the Wall Street Journal Best Sellers List, and rated the top leadership book in North American for 2013 by Axiom Inc. In 2016, Business Insider released its “20 Best Business Books You Must Read Once in Your Lifetime” and Dr. Weinzimmer’s book was ranked at #14. Dr. Weinzimmer is frequently interviewed in leading business outlets, including Fortune, the New York Times, Executive Excellence, and Fast Company, and has been interviewed by leading national news networks, including FNN, Fox Business, CNBC, CNN, ABC, and NBC Nightly News.